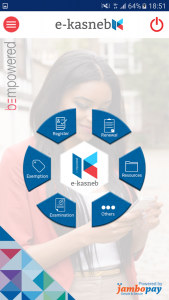 How to create kasneb student account and download your personal timetable, result slip, and pay kasneb registration fee, exam fee , exemption fee and renewal fee. 2. Students are required to create an account AFRESH, fill in the details and sign up. The password should have a minimum of 8 characters. 1. 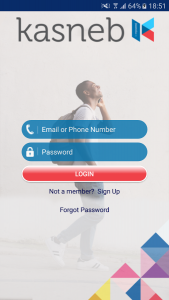 After successful sign up in the NEW e-kasneb application, you are required to activate your account via your email address. Go to your email address and select the message “KASNEB ACCOUNT VERIFICATION”. 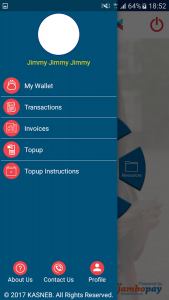 Click on the link to activate your account. 2. ACTIVATION OF ACCOUNT SHOULD BE DONE WITHIN 24 HOURS. If the token has expired, reset your password and log in again. 3. If you are a student with a registration number, you are required to register under “STUDENT WITH REGISTRATION NUMBER” not as a “NEW STUDENT”. Students with registration numbers who had already registered under “NEW STUDENT” are required to register afresh under “STUDENT WITH REGISTRATION NUMBER” using a different email address. 5. For “STUDENTS WITH REGISTRATION NUMBERS”, ensure that the information you have provided while signing up is correct (registration number, email address and phone number ). 6. PLEASE NOTE THAT IF YOU PROVIDE INACCURATE INFORMATION , YOU WILL BE UNABLE TO ACCESS YOUR ACCOUNT. For any issues regarding your account on the new student portal e-kasneb. Vist or use any of the following contact method to get in touch during working hours.